You appreciate your dad every day of the year, sure, but Father's Day is an especially good time to let him know that. In 2018, Father's Day is June 17, and there are plenty of interesting ways to show your dad how much you love him (without being mushy) in the St. Louis area. The ​Museum of Transportation in west St. Louis County is hosting its Father's Day Car Show—Cars With Class—from 10 a.m. to 2 p.m. After the car show, visitors can take in the impressive train collection of more than 70 locomotives, including many historic and one-of-a-kind steam engines. The Boathouse at Forest Park is serving brunch on Father's Day from 10 a.m. to 2 p.m., or you can order from its regular menu from 2 to 9 p.m. After a meal out on the patio, take a paddleboat ride with your dad on Post-Dispatch Lake. Take your dad to Pere Marquette Lodge in Grafton on Father's Day for live music, slow-cooked barbecued pork steak sandwiches, and brews from The Old Bakery Beer Company of Alton, all served up on the terrace with stunning river views. It's a good chance to have some tastes from this craft brewery that's a relatively new addition to the St. Louis-area beer scene. The beer garden is open from noon to 4 p.m. on June 17. In your dad's book, there might not be anything that can top going to a Cards game at Busch Stadium, and especially if it's against the Chicago Cubs, 2016 World Series champs and No. 1 rival of the Cardinals. You're in luck this year: The Cards and the Cubs will face off for a three-game, adrenalin-rush series on Friday, Saturday, and Sunday of Father's Day weekend. If you can't get there in person, order some pizza and hang out together to watch live on TV. Take your dad to the Biergarten at the Anheuser-Busch Brewery for Father's Day. The Biergarten is serving from 11 a.m. to 6 p.m., and you and your dad can choose from a full menu of A-B brews and hearty sandwiches and appetizers against a historic urban backdrop at the original home of "The King of Beers." 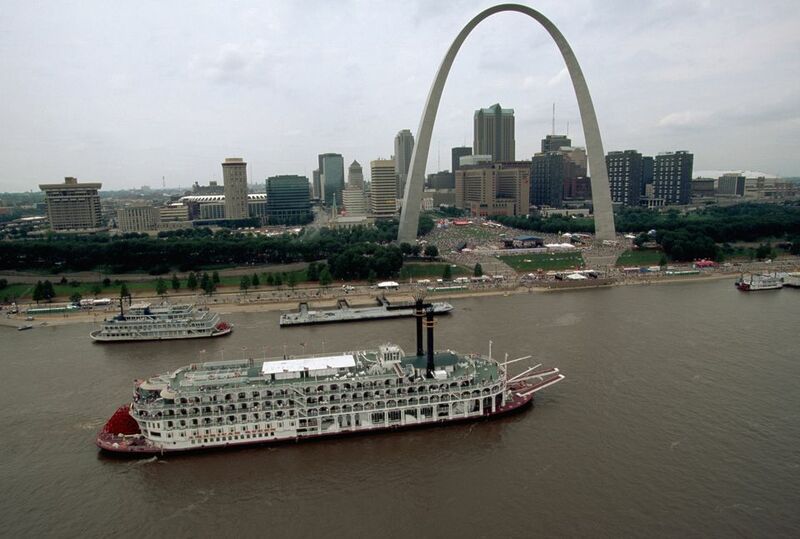 Take your dad on a river cruise along the Mighty Mississippi for Father's Day. Take the Father's Day brunch cruise from 11 a.m. to 1 p.m., with a meal catered by Grafton Oyster Bar, or the regular Sunday cruise from 2 to 3 p.m. Cruises leave from Grafton Harbor aboard the Hakuna Matata River Rambler. The boat is a double-decker, 49-passenger vessel with an air-conditioned first level with large windows and an open-air second level patio that affords views of the river bluffs, islands, and historic points of interest on the cruise. Mount Pleasant Winery in Augusta, Missouri, is a relaxing place to spend Father's Day. The winery offers live outdoor music on the patio all Father's Day weekend, along with great glasses of red or white. The Ralph Butler Band plays starting at 2 p.m. on Saturday, with the Dawn Weber Trio entertaining on Sunday starting at 2 p.m. If your dad loves to get out and commune with nature, go on a hike on Father's Day for some old-fashioned bonding in the scenic landscape around St. Louis. Some good choices are Castlewood State Park, the Katy Trail, Babler State Park, and the Columbia Bottom Conservation Area. The City of Kimmswick is hosting its annual Father's Day Car Show from noon to 3 p.m. on June 17. The show is open to all makes and models of cars, trucks, and motorcycles. There will also be music and other family activities. The show revs up on Market Street near City Hall.